Is Marijuana legal in your state? Since you are reading this, hopefully, you will not also be a doper. If you ARE interested in becoming a Border Patrol Agent, you need to be aware that Marijuana is STILL a VIOLATION of federal law. This is so important that I am posting it on the home page. Hiring is currently OPEN until the end of this year. (See green button above). "America's True First Line of Defense"
Why US Border Patrol? Because we expect more from you as an agent. We challenge you and give you the tools to do the job. If YOU are up to the challenge of being one of US, come inside. We will guide you, but it is really all up to YOU! Take that first step and see if you have what it takes. "We take you from on-line to the Border Line!" I, (your name) do solemnly swear (or affirm) that I will support and defend the Constitution of the United States against all enemies, foreign and domestic; that I will bear true faith and allegiance to the same; that I take this obligation freely, without any mental reservation or purpose of evasion; and that I will well and faithfully discharge the duties of the office on which I am about to enter. So help me God. 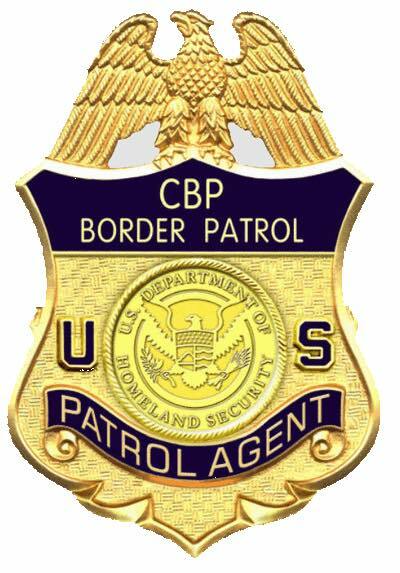 You have just taken the first step to become an Agent with the United States Border Patrol. You are embarking on an adventure that few will ever experience. This is not a job for the faint of heart. Choose well and good luck. The stated goal of this web site is to provide you, the applicant, with the best information available to become an Agent with the United States Border Patrol and to provide to the Border Patrol the best, most qualified and well-informed applicants that can be found.